The Mazda CX-9 is a handsome three-row crossover that blends sport and family functions. The handling is sharp and the ride firm, while carrying seven people in comfort. It's front-wheel drive, with available all-wheel drive sending up to 50 percent of the power to the rear wheels when they need it. For 2018, Mazda CX-9 comes with G-vectoring, which cuts ignition spark to put a small amount of weight on the front tires, to make the handling more stable in corners. Otherwise, there are no major changes for the 2018 model year. The current-generation CX-9 was introduced as a 2016 model. The CX-9 uses one engine, a 2.5-liter turbo making 250 horsepower and 310 pound-feet of torque, when Premium gas is used; however, it drops to 227 hp on Regular. The engine was named one of Wards “10 Best Engines” in 2017. It's mated to a quick six-speed automatic that's smoother than rivals having eight, nine, or ten speeds. But its sporty nature is missing something: paddle shifters. 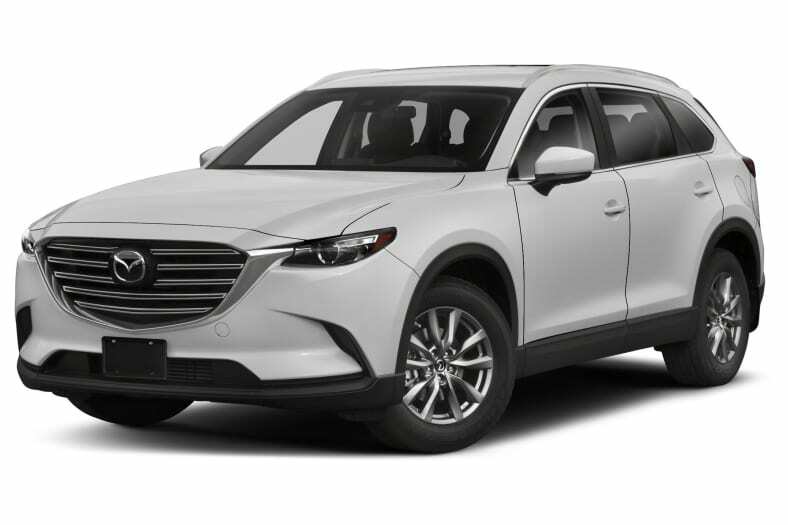 With front-wheel drive, CX-9 rates 22 miles per gallon City, 28 Highway, 24 Combined, according to the EPA; with 1 less combined mpg with all-wheel drive. That 6-speed automatic might be smoother than some with 9 or 10 speeds, but the reason for their being is to improve fuel mileage. So the CX-9 mileage suffers a bit. With a long wheelbase of 115.3 inches and overall length of 199.4 inches, it's bigger on the outside than the Honda Pilot and Toyota Highlander, but those inches mostly vanish on the inside, where Pilot and Highlander offer more space. The CX-9 wins back on cabin beauty and luxury feel, but loses again on tech, with mediocre connectivity and an infotainment system that has been behind rivals for at least two years. For 2018, CX-9 comes with automatic emergency braking at low speeds, called Smart City Brake Support, along with blind-spot monitors and rear cross-traffic alert. The IIHS gives the CX-9 a Top Safety Pick Plus rating, but only the Grand Touring or Signature model with LED headlamps. The Sport and Touring models get a mere Marginal rating due to less-effective headlamps.